In every area around the country, there are homes that sit for sale longer than most of the competition. 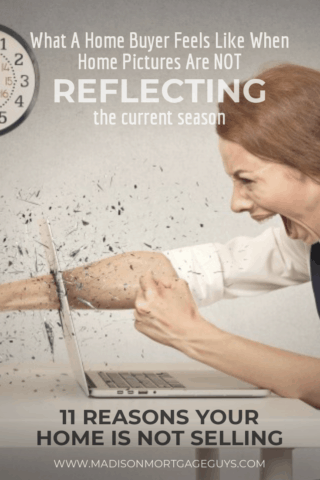 For a homeowner, this can be not only frustrating but in some cases even expensive if the home prices are on an upward climb or the interest rates are changing. Fortunately, there are some things that you can do as an owner to convince home buyers to take a second look at your home and hopefully put in an offer. 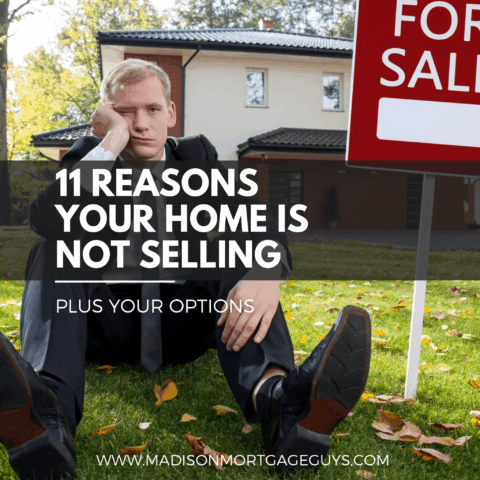 Learn 11 reasons your house is not selling, plus your options! Most real estate agents will caution their clients AGAINST buying the best home in the neighborhood, for this very reason. It normally takes longer to sell. Even though home prices are generally based on location and square footage, it logically makes sense that the biggest home would be the costliest. However, when emotion gets involved and people see that a home on the same street, with only one less bedroom, is much cheaper, their heart usually convinces them to pick the lesser price. A real estate agent will do the best they can when taking a picture of the exterior of your home, but if the sun was shining and the skies were blue when the pic was taken, it is hard to imagine how that home looks with 6 inches of snow on the ground. And the same holds true in reverse. If the home was photographed in the coldest part of January, the home likely looks very different when compared to the early part of March or April. Thankfully, this issue is easy to correct. Either take some updated photos yourself or ask your agent or someone that is good with a camera, to make some recent images for you. It is always a good idea to remove as much clutter as possible from all parts of the home, and this includes the yard and driveway. 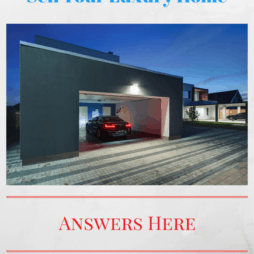 If the home has a 2-car garage but there are one or two vehicles parked outside the garage it gives the impression that the home is too small, thus the need to store items in the garage. If the garage is full, move stuff out and to another part of the home or rent a self-storage unit until the home sells. If that is not an option, park the vehicles in the backyard. Potential buyers often ask how long a property has been listed for sale. This information is compared to the listing times of other nearby properties. A home that sits for a long time throws up a red flag to prospects. It is at this time that you should have a serious conversation with your real estate agent. If the agent has not been able to sell the home, it is definitely time for a change in marketing strategy and could even be a reason to change agents. It is important to keep the yard looking fresh and clean at all times. People will make a split-second decision about the home from the appearance of the yard. 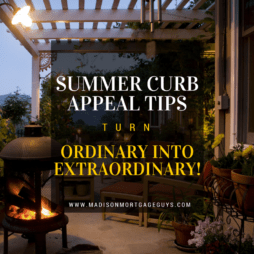 Overgrown bushes, grass that needs to be mowed and leaves that have not been raked in weeks gives off the feeling that the owner may have neglected other things like plumbing maintenance, regular check-ups on the heating/air conditioning and other general items. Get out in the yard and make it look brand new. Curb appeal is a MUST as the sale of the home could literally hinge on this single detail. There are 2 ways a For Sale sign in the front yard can turn away buyers. First, a worn and ratty looking sign screams “this house has been for sale forever!! !” Fix this issue by getting a new sign or asking your agent to replace the old sign with a new one. Secondly, the real estate sign may have way too many details. It is wise to put the number of bedrooms and baths on the sign since that is basic information. Much more than that will clutter the sign and people won’t read it. The goal of the sign is to get people to contact you or your agent and schedule a viewing. People develop an impression of the home when they enter and get their first sights and smells of the property. 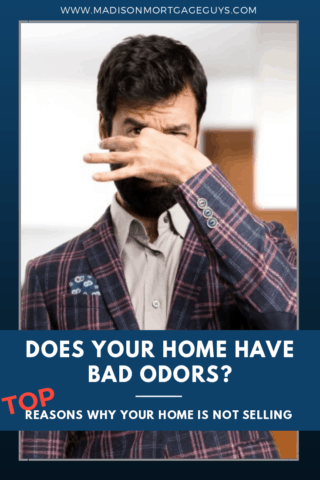 Bad odors will do as much to turn away some buyers as much as a bad appearance. All of these items have an uncanny ability to trap in smells and hold them for a long time. Thankfully, most of these items can be easily cleaned with a little bit of work and some common knowledge found via the internet. Organizing these areas will create a neat and kept feel to the home that makes a buyer more likely to envision themselves in your home. If the home does not have a house number either on the mailbox or the home, buyers may struggle to find the place. This struggle will create bad feelings and could push away buyers before they ever enter your property. Make sure your house number is easily visible either from the mailbox or near the front door. If you have house numbers that look old and worn, replace them with new shiny numbers. Most real estate agents will agree to this common truth; it is quite awkward to show a home to potential buyers when the current occupants are sitting in the living room or roaming up and down the halls. Homeowners obviously want to make sure their home is safeguarded when there are strangers coming to look at the place. But it makes it difficult for the real estate agent to speak freely about the place. No home is perfect. Each place has its positives and negatives. The agent’s job is to find the buyer that is not bothered by the negatives or have the ability to correct the negatives. This is a tough conversation to have with the homeowner sitting a few feet away. I bet you thought this would be the first item covered, right? Believe it or not, the price is not always the problem. That’s why this point was made last. You should talk to your agent about the above items first. If your property is suffering from any of those issues, address them immediately. But if you have addressed all those issues, and the house is not selling, it may be time to talk to your agent about lowering the price. A change in price will give the agent new ammunition to use in their marketing efforts and can likely attract the right buyer. It may also be time to find a new real estate agent. This time, you will want to be sure NOT to make these mistakes when choosing a real estate agent. 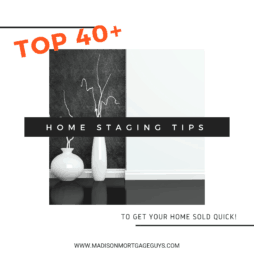 If you are in a position where you must sell a home, it can be really irritating for the home to sit on the market with no offers. Now is the time to take a step back and look at all aspects of the home, top to bottom, inside and out. This is the only true way discover any of the items that may be stopping someone from buying and you may find that it is a simple task to get everything in great shape and lure in the next homeowner.